Close your eyes and imagine this (but not really because we need you to keep reading). You’re in a boutique hotel. But not the old boutique that kinda smells like moth balls. The lush boutique look that you see on Pinterest and save to your ‘dream room’ collection. The kind where the sheets are whiter than the Kardashians teeth and your bed is the perfect amount of hard and soft. Now, imagine rolling over in bed and looking out the window. Oh damn, you’re cruising down a river. Not just any river though, you’re on the Rhine travelling through quintessential European towns, enjoying a balmy evening as you sip on a cocktail. U by Uniworld has crafted your next European holiday on the rivers of Europe. 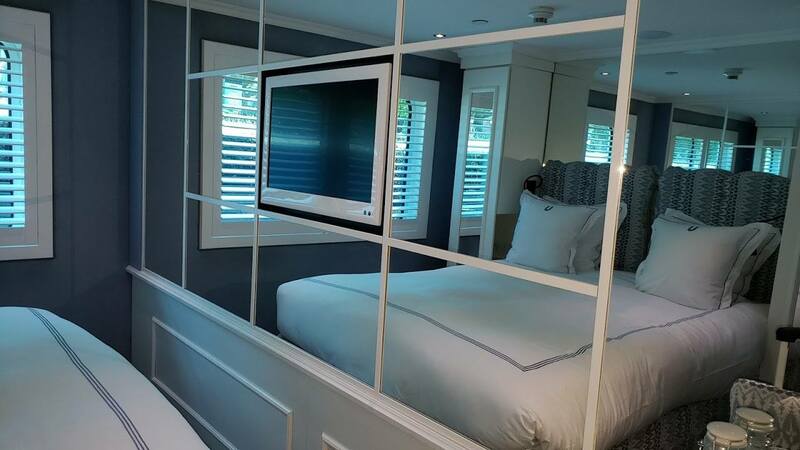 ‘Yeah but river cruising is for old people’ we hear you stay. Wrong again, friends. U’s itineraries are crafted for 21 – 45 year olds. So you can stop waiting for retirement to explore riverside European towns, and start clearing space on your camera roll ready for your trip with U. 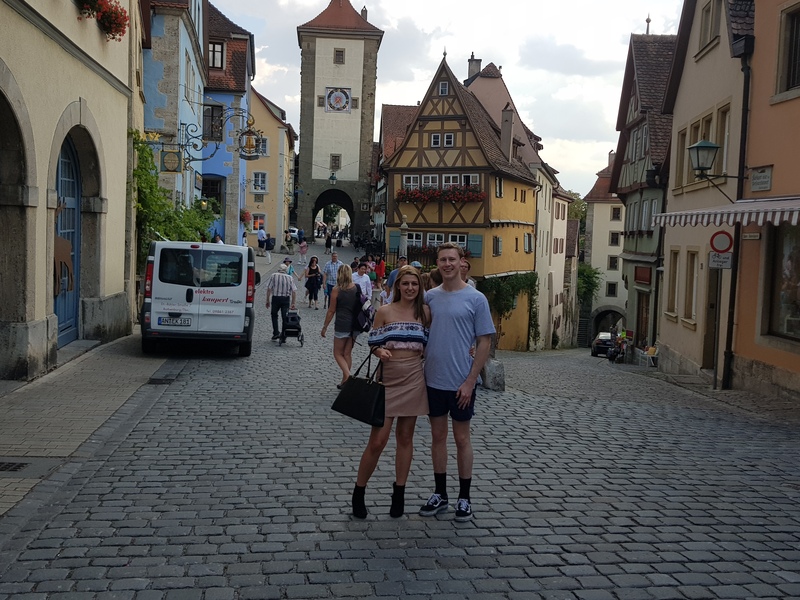 We sent our travel money expert, Jake, on a 6 night cruise with U by Uniworld from Frankfurt through to Regensburg. 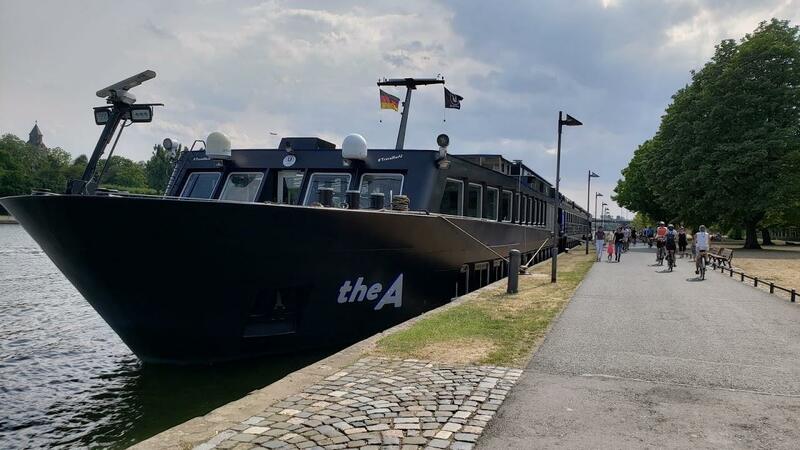 He not only came back well relaxed and super cultured (we hear he is fluent in German now*), but also with a heap of tips and tricks for your next river cruising adventure. Everything on board the ship was in Euro and you could simply charge it to a tab that was paid at the end of the trip via cash or card. Save some money with a drinks package. Coming in at 300 EUR, it works out to be 50EUR a night. When drinks are normally 7 – 10 EUR each, you will simultaneously save money and feel like a baller as you work your way through the cocktail menu. There are shore excursions for every traveller and budget. You can choose options like free walking tours, brewery tours with lunch, mountain climbing and abseiling and even a BMW factory tour. Prices vary, so be sure to check them out once you have booked so you can budget in advance. Budget between 100 and 150 EURO a day for shore excursions, drinks package, additional snacks and maybe even a sneaky massage. C’mon, you’re on holiday – treat yo’ self. There is free wifi on board so you can make everyone at home jealous with your holiday snaps. Make the most of your nights on board with silent discos and live DJs. Feast your eyes, and your stomach, on some incredible food. Meals range from set menus, to buffet spreads and BBQ’s on the top deck. Delish. Take smaller notes with you on shore excursions, as most shops in small towns don’t have card facilities. It also means you can spend less time looking for an ATM and more time exploring the cobblestone streets. 9. If you do use an ATM, be mindful that they all charge different fees which can eat into your spending money. 10. Some river cruises in the area also visit Prague and Budapest. If your itinerary features these destinations be sure to have $50 - $100 in CZK/ HUF per person per day. Whilst these countries do accept euros, you will generally get a better deal with the local currency. Long story short - we recommend you get a drinks package, split your money so that ¾ is on a Travel Money Oz Currency Pass and the other ¼ is cash, eat as much as possible, take advantage of shore excursions and generally live it up as you see Europe from a different perspective. Sounds pretty good, hey? Whilst Jake probably isn’t 100% fluent in German, he is fluent in their currency, and can translate the language of your European travel money. So be sure to visit him, or any of our travel money experts, for budget tips and foreign currency recommendations before your next European getaway.